There are hundreds of different options when it comes to choosing a credit card. So many choices can make things confusing! In the end, you’ll probably want a card with some kind of rewards – either cashback, airline miles or hotel points. In this guide, we’ll focus on cards that earn cash back. Below, find the best cashback credit cards of 2018. In this guide, we’ll cover specific recommendations for good cashback cards. We’ll also explain why you might want to choose a cash back credit card (over a card that earns points or airline miles), and cover how the earning and redeeming processes work. Let’s get started! Why choose a cashback credit card? There are several different types of rewards that you can earn from credit cards. They range from hotel points to airline miles to flexible rewards points. And, of course, cashback. But why choose a cashback credit card? Cashback is simple, easy to redeem, and very flexible. After all, who couldn’t use a bit more cash? With good cashback cards, there are no complicated award charts to deal with, no travel black-out dates, no high minimums for redemption, and no fuss. Earning rates are clearly defined, and you’ll be able to easily redeem your rewards for transfers to your bank account. And, if you choose one of the best cashback credit cards, you’ll be earning a significant amount of cash back on all your purchases! Earning cashback is fairly straightforward. Any charge you put on your card will earn cashback, according to the rates offered by your card. Generally speaking balance transfers and cash advances do not earn cashback, while all purchases (including bills) do earn rewards. Good cash back credit cards will typically earn between 1% and 2% cashback on all purchases. The best cashback credit cards will offer around 2% cashback, while also having no annual fee. Some cards offer bonus categories, earning up to 5% cashback on certain types of purchases. Some products, like the Uber card, offer tiered cashback – 1/2/3/4% cashback, depending on the type of purchase. Others, like the Chase Freedom, earn 1% on everything, and 5% on a select rotating category. For cards with more than one earning rate, the rate you get will depend on the type of purchase and how the merchant codes that sale. Usually it should work as intended, but in some cases you might find a merchant codes differently than you might expect. For instance, gas stations attached to grocery stores may code as grocery, instead of gas. Cashback rewards can typically be transferred to your bank account, or redeemed as a statement credit. Statement credits essentially lower the amount you need to pay on your card statement. The difference between a cash transfer and a statement credit is minimal. Technically, transferring cash to your account is slightly better than redeeming for a statement credit, because you can use that cashback to make purchases on your credit card, earning additional cashback in the process. Some “cashback” cards actually earn points, which can be used for a variety of things. For instance, the Chase Freedom cards actually earn Chase Ultimate Rewards points, a flexible rewards currency that can be used for cashback, airline tickets, gift cards and more. You should also be aware of the specific redemption requirements of your card. Most important is the minimum redemption amount. 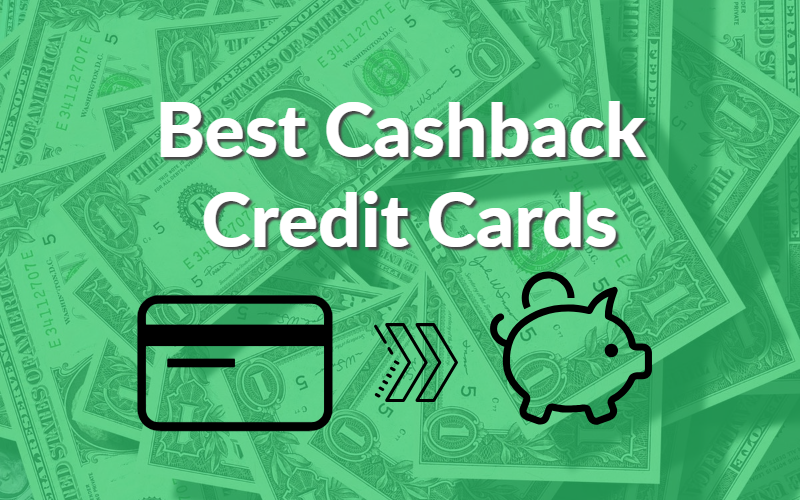 Most of the best credit cards for cash back have a low redemption minimum (or none at all), but there are cards out there that require up to $100 in cashback before you can cash out! Since there are many different options, we’ve broken it down into categories – see the list below! The Citi DoubleCash is among the best credit cards for cashback. It offers a simple earning structure, with 2% cashback on every purchase. The unique thing about this card is that you actually earn cashback twice (hence the name!). You earn 1% when you make the purchase, and another 1% when you pay your bill. The DoubleCash has no annual fee, and is relatively easy to get approved for. 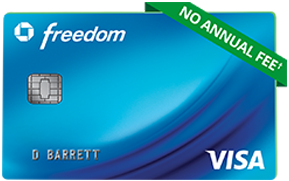 And unlike many no-annual-fee cards, it actually offers a signup bonus: $100 cashback after spending $500 on the card in the first 3 months! If you’re a fan of simplicity and want a no-fee card for use as a “daily driver”, the DoubleCash is an excellent option. 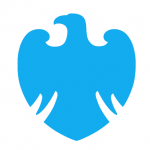 The Uber Visa Card from Barclay’s is the best tiered cashback credit card available today. It offers significant perks for a card with no annual fee, and you can earn up to 4% cashback on select purchases. The card actually earns points, which can be redeemed for cash, gift cards, Uber credit and more. The Uber card earns 4% on dining, including restaurants and bars. It earns 3% on select travel expenses, including airfare, hotels, and vacation rentals like Airbnb. It earns 2% on online purchases, including Uber fares. And for anything that doesn’t fall into these categories, the card earns a flat 1% cashback. For a no-annual-fee card, these earning rates are fantastic. 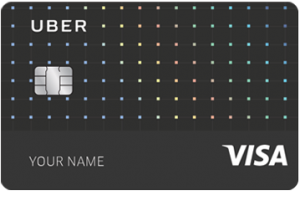 Beyond the lucrative cashback rates, the Uber card has a $100 signup bonus, and also offers significant ongoing perks. It has no foreign transaction fees, making it great for international travel. If you pay your cell phone bill with your Uber card, you’ll automatically get mobile phone insurance. And every year that you put at least $5,000 in purchases on the card (equivalent to around $415 per month), you’ll earn a $50 credit to use on select streaming services, like Netflix, Spotify or Amazon Prime. Depending on your spending habits, this card may beat a flat 2% cashback card in the long run. Given the other benefits and no fee, this is a very solid card for anyone to have. The Chase Freedom is one of the most popular cashback credit cards – and for good reason. It earns a flat 1% cashback on all purchases, but where this card really shines is in the 5% rotating categories. It also comes with a $150 signup bonus after spending $500. The Freedom earns 5% back on a select category – and every 3 months, the category changes. The categories could be gas stations, Amazon.com, grocery stores, utilities, or various other expenses. Note that this cashback rate is capped at $1,500 in purchases per quarter – purchase exceeding that will earn the normal 1% back. Chase publishes a calendar that shows you the next few quarterly 5% cashback categories. The 1% on all purchases is fairly meager, so this card really only makes sense if you can take advantage of the 5% categories. Also, one important note: while this card is marketed as a cashback credit card, it actually earns Ultimate Rewards points. These points can be redeemed for cashback at 1 cent per point, but they can also be used for travel, gift cards and more. And if you have a premium card from Chase, like the Sapphire Preferred or the Ink Plus, you can transfer the points you earn with your Freedom to get even more valuable redemptions! 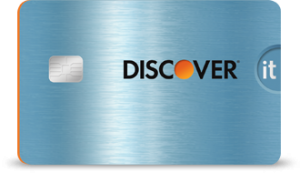 The Discover IT card is very similar to the Chase Freedom (another top rated best cashback credit cards), which is detailed above. It earns a flat 1% cashback on all purchases, plus 5% on select rotating categories. The categories sometimes differ, but they are subject to the same $1,500 cap and function in the same way. The Discover IT doesn’t have too hefty of a signup bonus ($50 cashback if you use a referral link). However, the real bonus is that all cashback earned in the first year is doubled. That means if you earn $200 cashback in the first 12 months of card membership, you’ll get a $200 bonus for a total of $400 cashback. This bonus applies to earnings from bonus categories and the cashback shopping portal, as well. This bonus also means that, for the first 12 months, the card earns 2% cashback on everything, and a whopping 10% cashback on bonus categories. If you can max out the quarterly bonus categories (some are easier than others), you’d earn $600 cashback just from the bonus categories! This signup bonus has the potential to be very rewarding. However, it really depends on your spending habits, and on the bonus categories available. In some cases, you might be better off with an up-front bonus like the Chase Freedom offers. 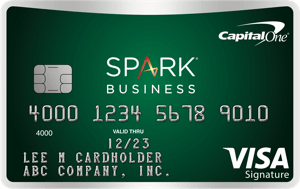 The Capital One Spark Business card is a great option for small business owners, and one of the best cashback credit cards overall. It earns a flat 2% on all purchases, with no limits to earning potential. Even better, it comes with a hefty signup bonus of $500 – making it one of the most lucrative cash signup bonuses out there today. Keep in mind that this card is designed for small business owners, so it’s not for everyone. With that said, some people have been approved with very small hobby businesses, side hustles, etc. It may be worth a shot even if you don’t have a full-fledged business. The Spark Cash card does have a $59 annual fee. If you’d rather not pay a fee, there is the Spark Cash Select, which offers 1.5% cashback and no annual fee. You could also get the Spark Cash for a year (for the higher signup bonus) and then product change to the no-annual-fee version. With hundreds of different credit cards on the market, this list is far from complete. However, for the average person, we believe the cards listed above are some of the best cash back credit cards available. The specific best cashback credit cards for you will depend on your individual situation and preferences. For those wanting simplicity, we recommend something like the Citi DoubleCash for a no-frills, easy 2% back on every transaction. For those with a little more active involvement in their finances, tiered cashback cards like the Chase Freedom or Uber Visa might be a better choice. What is your favorite best cashback credit cards? Let us know in the comments!